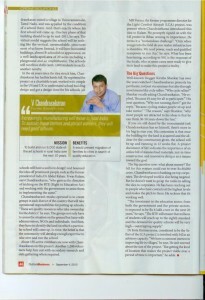 Outlook Business’ current issue (4th September 2010 edition) lists down 25 Good businesses that focus on the new model of entrepreneurship and help create societal change. 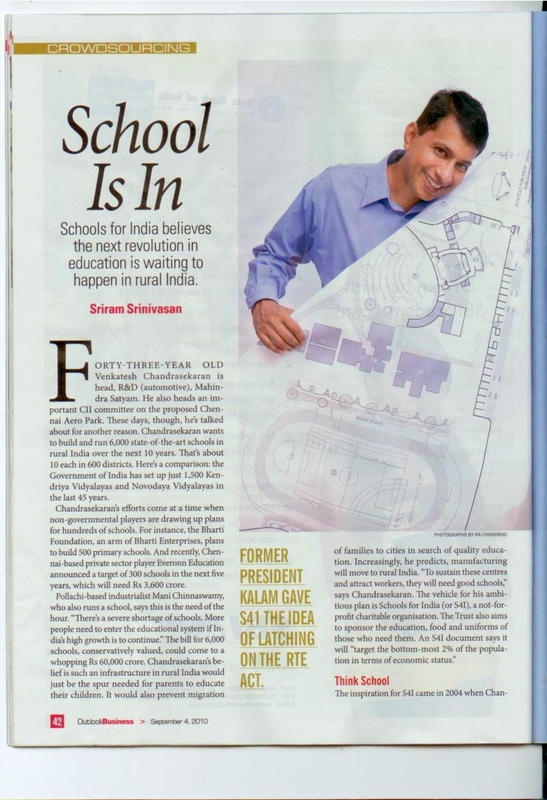 Alongside with various projects Schools for India got featured in the article being “School is In“. 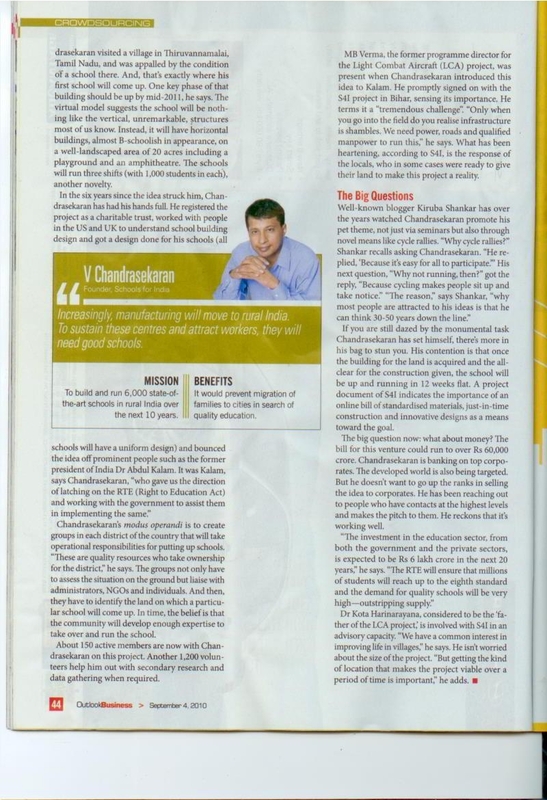 The article conveys the dauntless thoughts, and policy of Mr. Venkatesh Chandrasekaran Founder, Schools for India. The article also quotes well-known Blogger Mr. Kiruba Shankar (CEO, Business Blogging). Mr. Venkatesh is Founder Trustee at Schools for India Trust, Co Chairman- Chennai Aero park Committee at Confederation of Indian Industry (CII ), President at Schools for India USA, Director at Schools for India UK and Head R&D Automotive at Satyam Computer Services Limited.